This newly remodeled home features all new appliances and furnishings. The home is tastefully decorated. One bedroom and one full bath plus laundry facilities on the main floor. Two bedrooms and one full bath on the upper level. Spacious kitchen - well appointed with coffee maker toaster, griddle, popcorn maker, electric pressure cooker, electric Dutch oven, dishes, wine glasses, etc... Two queen beds, 6 twin beds (2 that will convert to a king) and one full bed. Four smart TVs with Amazon Prime, Netflix, Hulu, 2 DVD players & high speed fiber optic WIFI. Shampoo, conditioner, shower gel, dish soap, dishwasher soap and laundry detergent is provided. Large deck with hot tub, outdoor dining and living areas. Roast marshmallows over the fire pit or relax in the hammock and hear the sounds of the roaring Wenatchee River. Located just 7 miles from Lake Wenatchee and 16 miles from historic Leavenworth this home is ideally located. You can hike, bike, swim and float in the summer and ski, tub, snow mobile in the winter. Four Seasons of FUN!! We are long time Washington residents. We love to travel and visit places near and far. We fell in love with the Leavenworth area and especially the Ponderosa Community. We are looking forward to making many memories there with our children, grand children, family and friends. After looking for a vacation home for over a year we found this wonderful property. The owner's built this home for their family in 1989 and you can feel the love and warmth that they poured into it from the moment you walk in. We were instantly drawn to it. The home has a open floor plan. Your whole family can gather in the dining area or sit in the big comfy sectional. It is a wonderful place to reconnect with extended family or just cozy up for a couples retreat. The backyard faces the Wenatchee River. You can roast marshmallows around the fireplace and listen to calming sounds of the Wenatchee River. There is ample seating on the deck and around the fire pit. Two full bathrooms. One bath is on the main level and one bath is on the upper level. Both bathrooms have shampoo, conditioner, shower gel and blow dryers. Sit back and listen to the roaring Wenatchee River. You can see the sun glistening off the water in the morning. The property is just a short 2 minute walk from the shoreline. Forced heat in each room. High speed, fiber optic internet. Towels provided are for in-home use. Please bring beach towels for heading to the river. Cozy living room with a large sectional. Smart TV with Amazon Prime, Netflix, Showtime, Starz & Cable. You won't miss a single sporting event! Brand new side by side with in door ice maker. Coffee, sugar, coffee filters, salt/pepper and wide variety of spices. Everything you will need is in the home. Large outdoor dining area as well. Table and six chairs for adults and picnic table for the little ones. Amazon Prime, Netflix & Cable with lots of sports channels and huge movie selection. Complete poker set, wine trivia, Monopoly, a few deck of cards, Sorry, Yahtzee, Connect 4, Sequence and several more. Tons of room for outdoor activities. There is a playground just down the road with a basketball court, baseball diamond and playground equipment. Bunk room has private balcony with a table for two. There are two Kayaks at the property that may be used in Lake Wenatchee by adult guests only - please ask for permission. Table that seat six and small children's picnic table, couch & several chairs for lounging all with views of the Wenatchee River! Ski in and ski out - great location for cross country skiing and snow shoeing. Our home is equipped with 7 ft. portable ramps, guest room and bath on the main level. We are not set up to ADA standards. New in 2016! 7-Person Spa with waterfalls, LED lighting and blue tooth. Thank you for making your vacation home available during our stay. It was a much needed escape with our family and beautiful views of the river! Excellent experience. Good communication with owner. Would recommend and stay again. Excellent accommodations. Clean, comfortable. Many extra touches, including, s'mores making package and games. Hot tub under the stars was an enjoyable and relaxing way to end the day! Thank you so much got taking the time to write such a thoughtful review. I am glad that you enjoyed your stay. This is the third time we have stayed at this property, always in the winter and always a fun time. The cabin is perfect for our family of 8. There are lots of spaces for people to play games, read, watch movies or just hang out. The kitchen was very well appointed with everything we needed. We especially like getting out and sledding, snowshoeing, sleigh rides, and exploring the beautiful area. We hope to come back again. It is always a pleasure to have you stay with us. Each year we try to provide an elevated experience. I am di glad that you and your family enjoyed your stay. We look forward to having you visit again. Maybe next time you will come during the summer and enjoy some rafting and hiking. Amazing vacation rental! From the moment we arrived, we knew that this great little mountain cabin was going to meet all our needs. We loved the cozy/homey vibe of the cabin, as well as all the decorative touches throughout. Every day we found a different knick-knack that fit the house perfectly and told us so much about the homeowners. The turkey's, my 6-year-old son LOVED giving seed to them and we all marveled at just how close they came to the house. Such a special little treat. We really enjoyed staying here and hope to visit again in the summer to fully enjoy the outside spaces here. Thanks for opening your home to us and here's wishing you a Happy Holiday season! We could not have chosen a better place for the 12 of us to stay for our winter mini vaca. This house has such a warm and inviting feeling to it the moment you open the door. We had 8 adults, 4 children and 3 dogs and never once felt crowded. It is well stocked with everything you could think of and you literally only need to bring clothes and food. The owners were quick to respond to our text messages before and during our stay. We had such a great time. I chose this location because of all the great reviews and I was not disappointed! The home was so beautiful and very clean. We had a great stay! This home is located in the desirable Ponderosa Estates Community. It sits on a 1/3 of an acre, private lot with views of the Wenatchee River. The community has a playground, basketball court, volleyball court, baseball/softball fields. 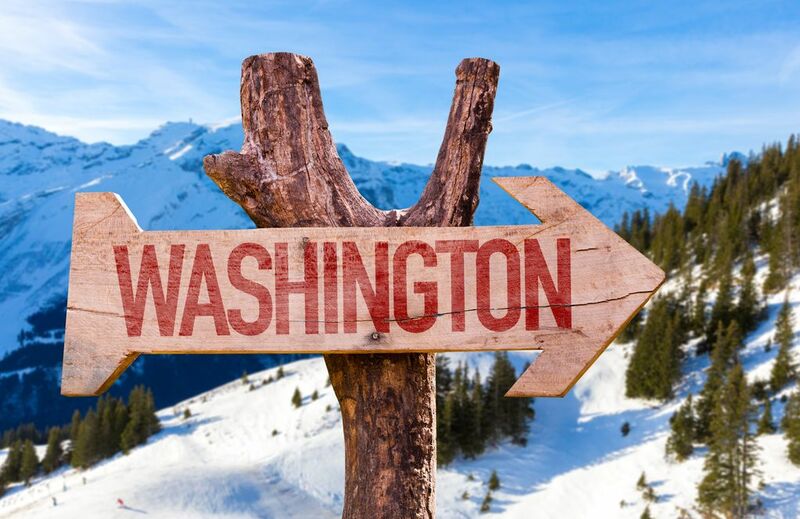 You are just a short drive to Stevens Pass Ski Resort, Zip Lining, Lake Wenatchee, Leavenworth (16.5 miles) and so much more. Enjoy the outdoor, relaxing environment or tour local wineries. The area offers excellent 4-wheeling, snowmobiling, cross country skiing and horseshoeing. Weekend stays have a 3 night minimum stay. Weekday stays have a 2 night minimum. Last minute one night stays may be considered. Late check-out will result in additional fee of $100.00 per hour VRBO began charging guests a service fee. To offset this we have reduced our nightly rate and our cleaning fee. If you have any questions, please feel free to contact me.